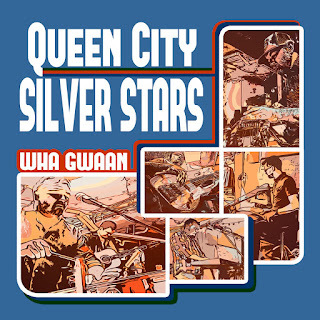 The Cincinnati-based reggae/world music hybrids, Queen City Silver Stars, consist of members of folk-rock favorites Frontier Folk Nebraska and also have experience in the Miami University Steel Drum Band. Together they fuse Caribbean steel pan drums and infectiously danceable Graceland-esque World Music rhythms and riffs with catchy, folk-leaning songwriting. 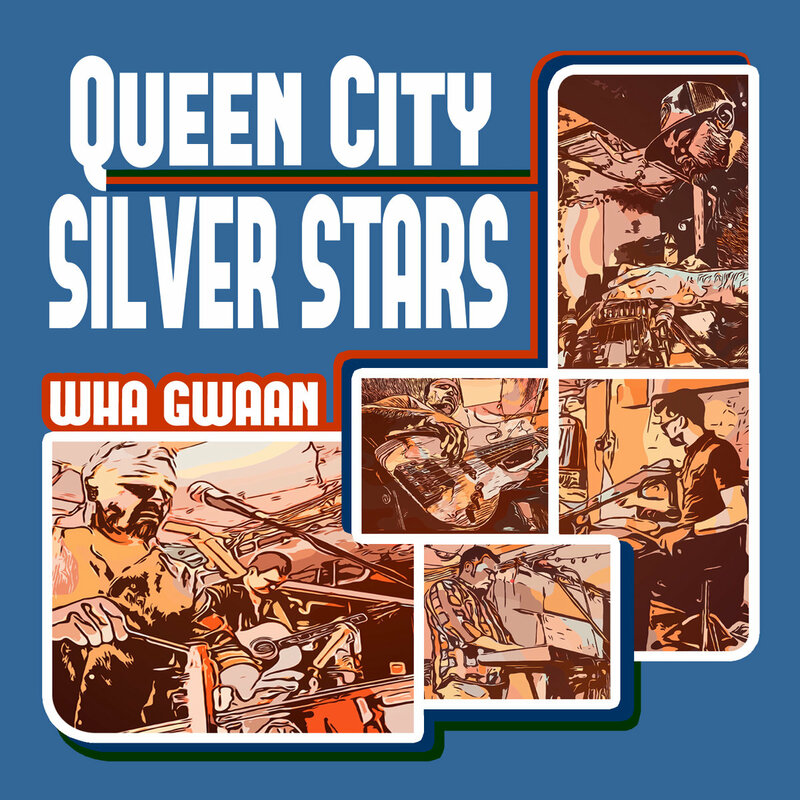 After releasing two albums, their most recent release is an EP titled, Wha Gwaan, and it’s a 5-song shot of Summer sun for your ears! Standout track, “Midwest Mind, Caribbean Soul” is effectively the band’s mission statement and the perfect introduction to the band’s sound that blends a beachy steel drum melody with country-leaning pedal steel. Another standout, “Don’t Take Da Bait” finds the playful steel drum melody mimicked by the synth before dissolving into dubbed-out bliss.